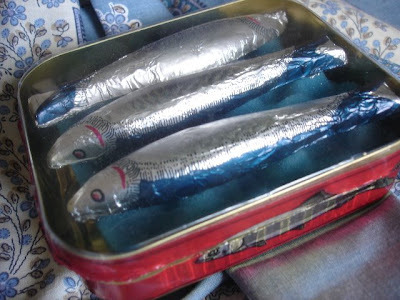 Society for the Appreciation of the Lowly Tinned Sardine: For Chocolate and Sardines Lovers! For Chocolate and Sardines Lovers! 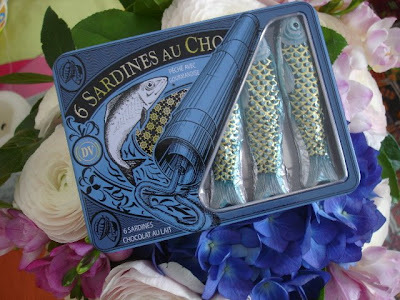 Of course Cluizel chocolate sardines are the best to be found worldwide in Paris, New York and Tokyo, but why not tasting other brands if you like chocolate and sardines ? Begin with Jeff de Bruges belgian ones in a nice drawer can filled with really good black chocolate sardines… Too bad we ate the sardines before I thought of taking pictures ! 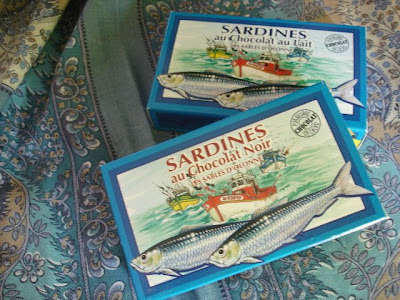 And then try a DV chocolate sardine can from Nantes, nice can and tasty sardines. Then try an average Cluizel copy, with a nice can but with very common chocolate sardines. 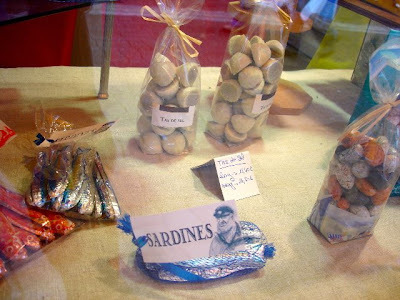 In France, around Easter most of the bakeries and pastries and candy shops sell chocolate sardines of their own. 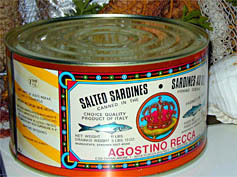 You know sardines have always been associated in the catholic religion with the fast before Easter. Chocolate sardines are then a reward for your efforts in eating dried and salty sardines during 40 days ! But sardines have no monopole : chocolate eggs, chicken, bells, rabbits and hares are also hidden with sardines in the gardens for kids to find them on Easter Sunday after mass. 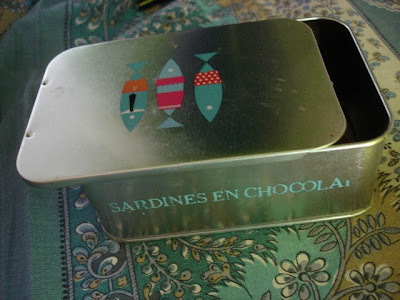 And then Vendée's chocolate sardines (for the fun of it) that you can find everywhere…in Vendée ! (Vendée is known to be the most catholic and traditionalist place in France, ruled by a still aristocrat -le vicomte Joly de Villiers- antieuropean governor, and with a quota of 20% of royalists among the population…) . Who said there's no politics in sardines studies ? I won't review all chocolate sardine cans that are in the Musée Imaginaire de la Sardine as there are dozens, even from the beginning of the 20th century sold by Amieux… Here are only the ones I brought back last week ! Now if only they made actual sardines dipped in chocolate. FTW. and I've seen a hawk on the wing. 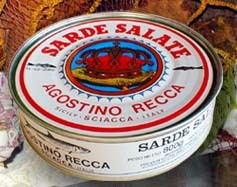 Has anyone tried the salt-packed sardines that come in those massive tins (usually found in Italian delis)? Do you mean dry big sardines as the ones sold in wooden barils ? 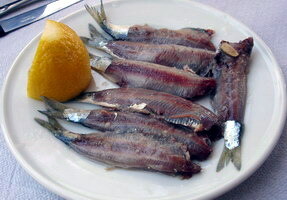 Or kind of anchovies filets in salt ? Do you have a picture ? I've never seen this kind of tinned sardines in France. But I can recognize one of the oldest way to keep sardines. I've only seen that at fishermen's places. In Douarnenez (Britany) people still prepare sardines this way, sardines and salt in a preserve bottle kept at the bottom of the fridge for a week, emptying the juice everyday. Delicious with a glass of white wine ! 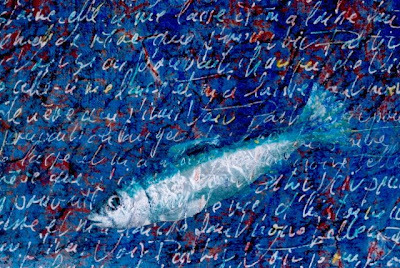 On the mediterranean coasts, sardines are kept in any kind of barel, each layer spread with salt and pressed under a huge stone. The juice is highly proteined and known to be alike the famous roman garum which was the kind of ketchup Julius Cesar spread allover the empire as a civilised taste… Only spanish and portuguese workers still eat sardines this way in France, but never canned in this italian style. You are a true fountain of sardine knowledge. Thank you! I hope to visit the Sardine Museum when I am in Europe again.